We have a lot of crows in Kenmore, I’ve heard estimates of between one and two million in the rookery down by the slough. 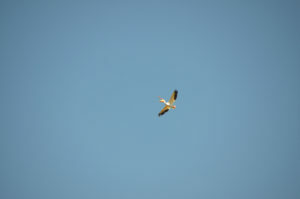 You can watch them fly over for hours in the morning and evening as they head out across the area. 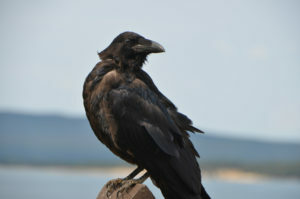 But as much as I like crows for their intelligence, ravens are even more fascinating. I’ve watched them up north, but haven’t gotten any really notable pictures. In Yellowstone there are plenty of ravens, and this one was sitting on a post at Steamboat Point along the east side of lake Yellowstone, and sat there as if to model as I got closer and took several pictures. Out of the ordinary, I felt quite fortunate on the first morning I arrived in the park to be the only person to have seen a pair of Sandhilll Cranes in a field very close to the road near Firehole Flats drive on the way to Old Faithful. I parked a bit off and walked up and sat on the ground a bit off the road and watched through the camera and took a bunch of photos. They seemed to be getting ready for their morning stretching and preening and then they started foraging together, working their way across the field. 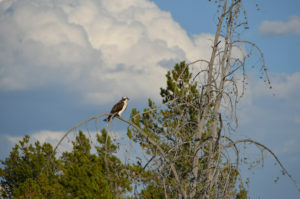 I have heard these birds in large flocks as they pass through an area we camp in Eastern Washington each spring, but they are usually so far away we hardly get to see them. There were several times when I saw an osprey soaring, but just once when I was pretty close and could get a picture of one perched in a tree. 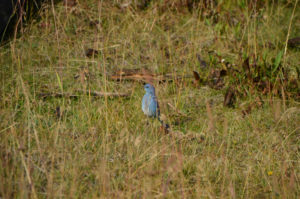 This bird had been flying near the Riverside Geyser before it erupted, and I saw it move a couple of times after that. I followed it from its last perch to this one and snapped a couple of pictures as it landed. I watched the weather move by behind it, and so you can see some shots have some pretty dramatic sky. It stayed there, watching for dinner, while I talked to some people on the trail, and well after I left. On the East side of the park in the Hayden valley there is a lot of wildlife, and this time I got to see a few Pelicans. 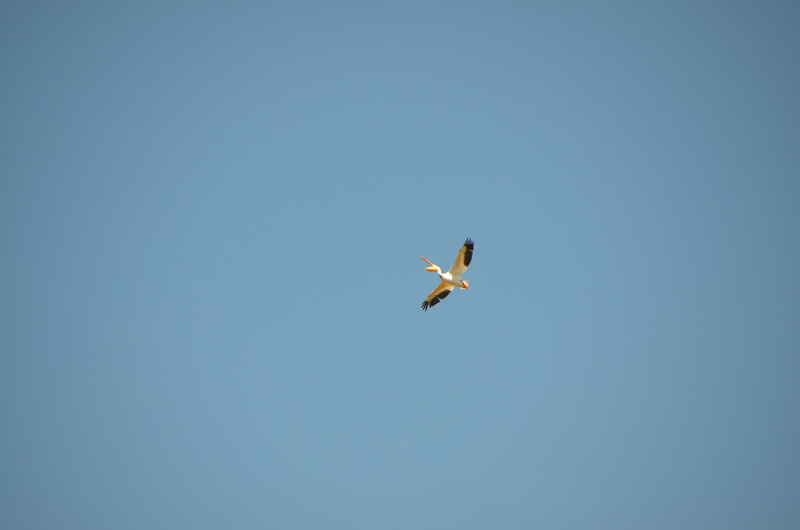 This one was soaring overhead in circles. I saw it as I was driving along and pulled in to park. It took a long time of scanning the sky to find it again, but it hadn’t actually gone far. In the Mud Volcano Area on the hillside that high temperature had killed a bunch of trees “the cooking hillside” I spotted several birds. 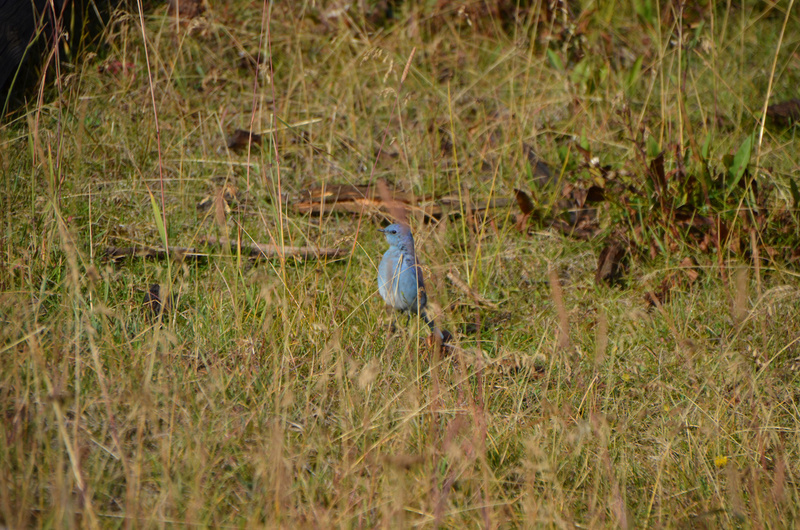 At first there were flocks of smaller birds flitting about, and especially notable were these bluebirds. They stood out handsomely against the hillside, and seemed to be traveling about in pairs. I saw several pairs go this way and that. A bit later as I was coming down the trail there were a pair of hawks hunting here, and no little birds to be seen. I believe this to be a Cooper’s Hawk. It landed in a tree top nearby and I watched it for a while then started down the trail and then it flew overhead and landed on the ground, apparently missing its prey. It walked up onto a small log and kept looking around and then hopped up into the air and landed on a tree right near me. It stayed there a while, until a crow showed up and started hollering, then it few away over the misty clouds from the thermal features. This Raven seemed very happy to pose for my photo. The post is a few feet over on the other side of a low wall where the hillside drops away, so it probably feels pretty safe. 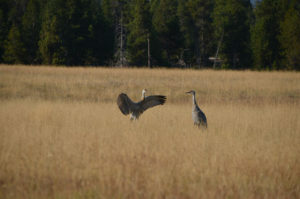 Sandhill cranes foraging in the lower geyser basin early in the morning before the crowds and the heat of the day. They were moving along slowly through the field. 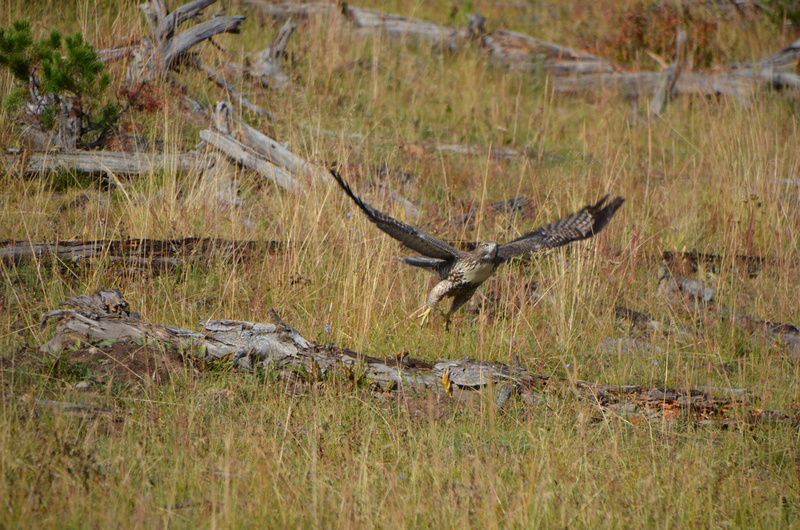 I had been watching this osprey as it moved along the same direction I was going. Caught him landing here. He wasn’t very interested in me, but rather the food that might be available scampering about. I watched as some nice clouds moved by. Ruffed Grouse in the northern part of the park. There were several below on the Yellowstone river as well. Calling out to the folks below I believe. I noticed that the little birds seemed to have all disappeared. 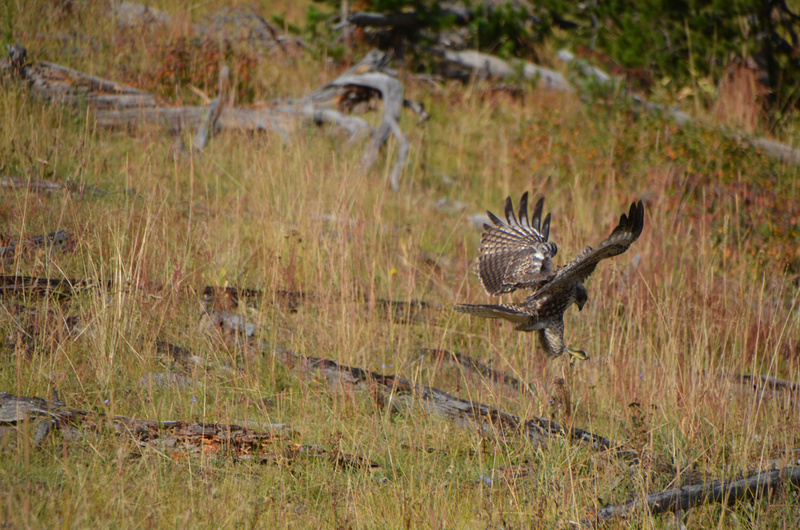 That’s when I spotted a pair of hawks in the area. Missed the rodent on this dive. 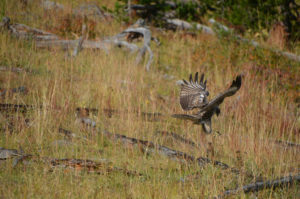 Hawk soaring through the geyser mists.